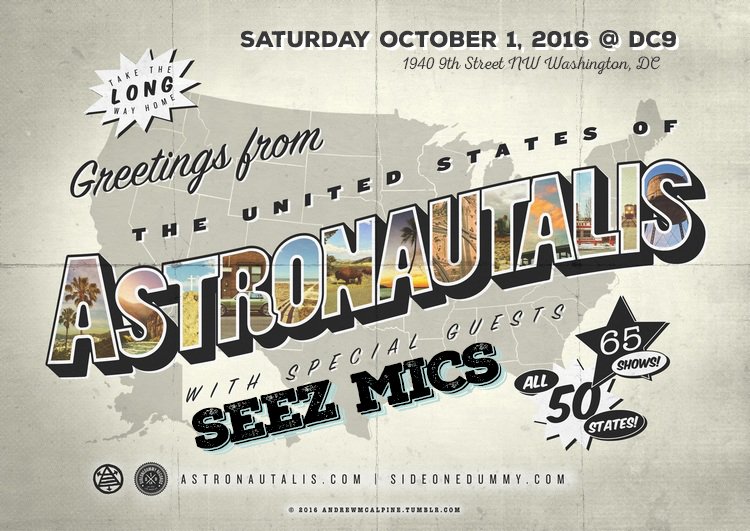 I’ll be opening Astronautalis‘ D.C. show for his “Greetings From The United States of Astronautalis” tour on Saturday, October 1 at DC 9. I once saw Astronautalis torch a bunch of MCs while rocking a boy scout uniform. Enough said. Also performing are the Oxymorrons, a collective of genre-blending masterminds who use their musical platform to speak for, and to, the rejected. Their message of embracing ones individuality resonates with their fellow underdogs.